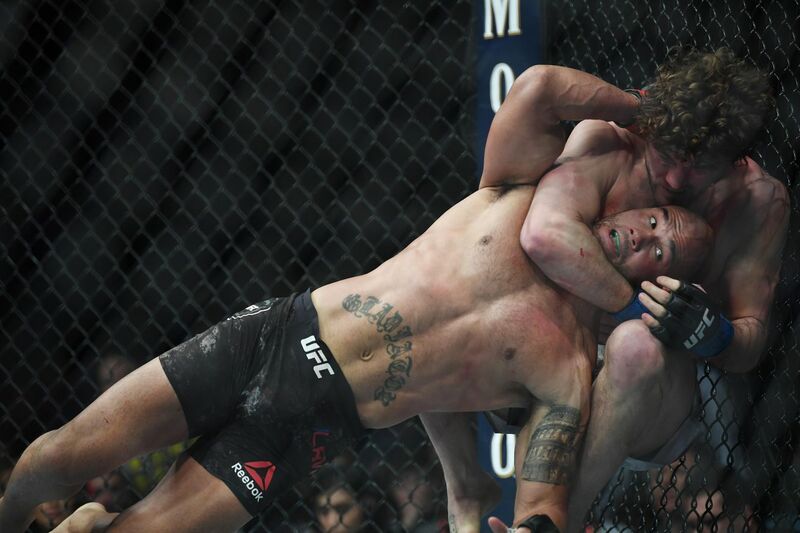 Respected veteran MMA referee Herb Dean explains and defends his controversial stoppage decision during the UFC 235 fight between Ben Askren and Robbie Lawler. Herb dean is one of the most respected referees in mixed martial arts today. While he is usually accurate with his calls, one that came under a lot of scrutiny was his stoppage decision during the Ben Askren-Robbie Lawler fight at UFC 235 last March. Many argued how Dean should’ve let the fight go on, especially since Lawler was seen raising a thumbs up, while others sided with his call. During his appearance on the most recent JRE MMA Show podcast, the long-time official defended his decision. “When I see some chokes, a rear-naked choke, especially with the guy on the back face up, I take a sigh of relief,” he explained. “My job just got so much easier. It’s not like he’s gonna go out and in a second, take some extreme amount of damage. He may go out, I’ll have a second to make sure – not even a second – a half a breath, to make sure he’s OK. And then let it go out and he’s not gonna take any other damage. Dean further argued that Lawler should have shown more activity to defend the choke. For Dean, a fighter’s safety is still the utmost priority, and it is during such debatable situations where he says his job as a referee is most challenging. “That is the tough part about (our job),” Dean said. “You’re evaluating a situation, you’re evaluating a threat to the person, if there’s a threat coming, how well can they deal with it. There’s a lot of stuff going on there. A good number of observers, including UFC president Dana White, are looking to see another fight take place between the two. Askren, however, had candidly stated his disinterest in a possible rematch, which he had also been criticized for.